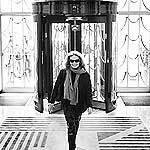 Fashion designer Diane von Furstenberg, is to undertake her first interior design project with her refurbishment of a series of rooms and suites at five-star Claridge’s hotel, London. She will provide a new look to around 20 out of the hotel’s 203 bedrooms and suites. “Our collaboration with the talented Diane von Furstenberg is the latest storyline within our history of forward-thinking design,” said Stephen Alden, chief executive of the Maybourne Hotel Group, which owns Claridge’s, as well as the Connaught and the Berkeley. Von Furstenberg said that she regards Claridge’s as the most glamorous hotel in the world and thinks of it as her home away from home. “I am honoured to become part of the hotel’s legacy,” she said.